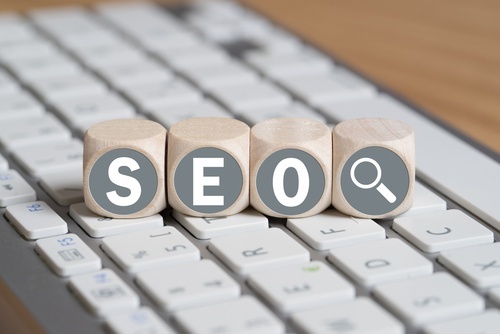 Search engines connect interested readers with relevant content, and optimizing your online presence can help to boost your website’s visibility when individuals search for services and information that your practice provides. Optimizing your web presence requires some serious marketing chops to perform effectively, contact AGENCY H Inbound for your free assessment today! Maintain a list of keywords that you believe people will search when looking for medical services that your practice provides. Have coworkers contribute to the list to get different perspectives and variations of previous keywords. Use Google Keyword Planner to plug in the keywords from your list to see which phrases perform the best in local search traffic, as well as having a low price point with minimal competition from other medical practices. Consider honing in on longtail keywords that you believe the audience will use in searches. These longtail keywords are more specific than short, general keywords that can be relevant to hundreds of practices in your area. Filter out the keywords that perform poorly or exceed your budget. Organically use these keywords throughout your website copy, blog posts, and other forms of content on your website. Including the chosen keywords into your meta descriptions and title tags will help Google fully understand what your page is about and improve your listing. As a medical marketer, knowing your audience — and what they’re searching for — is key. They may be searching for information about doctors, procedures, recovery times, or symptoms. You need extensive keyword research to know what and how people are searching for you in order to create high quality content that is tailored to their needs. The creation of great content will increase its chances of being read, shared, and linked to. Provide in-depth, focused content that is technical and easily read. Medical jargon should be minimal while you focus on restructuring difficult concepts into terms that the average person can understand. What will differentiate your practice from others is focusing on all-encompassing content. Any practice can publish how they perform a surgery, but very few take the time to understand that connecting the content to the audience’s day-to-day lives is crucial. The readers will want to know how long their recovery process will take, what foods they should avoid, how long they should take off work, and how their workout regimen will be affected. Google takes many factors into consideration when determining the relevance and quality of a website. Social media is one of these many factors that should be consistently used and optimized to extend your businesses reach. If the content of your web page is highly shared on social media, then search engines will consider your content credible and worthwhile, which aids in boosting your page rank. Use the most popular social platforms like Facebook, Twitter, LinkedIn, and Instagram to build an audience that you can share your engaging content, unique offers, and industry information with. It is important to include every detail about your business in your social media bio, company description, contact information, and other sections to help the search engines understand what your company is about, further assisting them in ranking your social media profiles and your increasing your brand’s online presence. If you’re ready to attract more customers to your business, optimizing your online presence is the necessary first step. AGENCY H would love to talk to you about optimizing your site and developing your inbound marketing strategy to get more qualified leads and customers, and increase your ROI! If these sound like things you want, contact us online or give us a call at 816-471-1877.